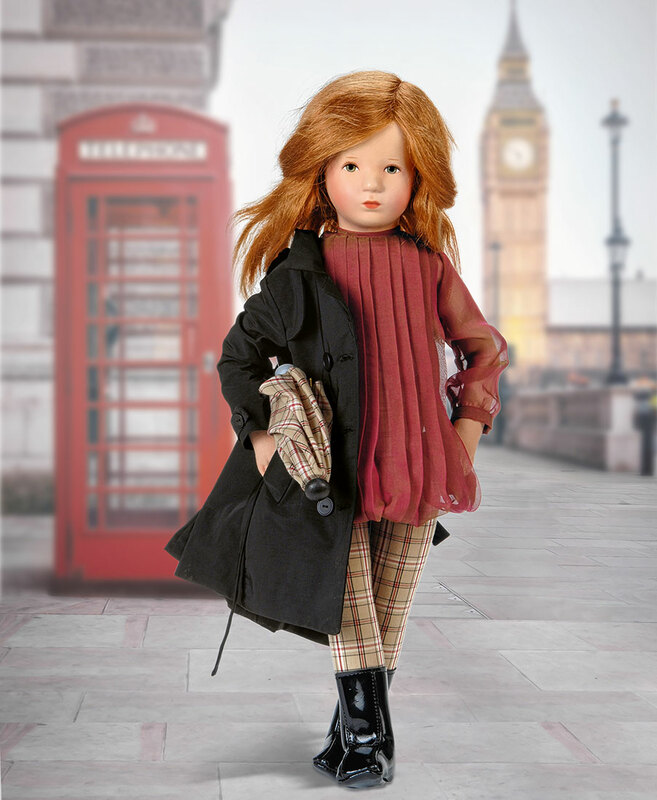 Beryll is a 19 inch doll displaying the fashion reminiscent of the successful designs of the British fashion label Burberry. 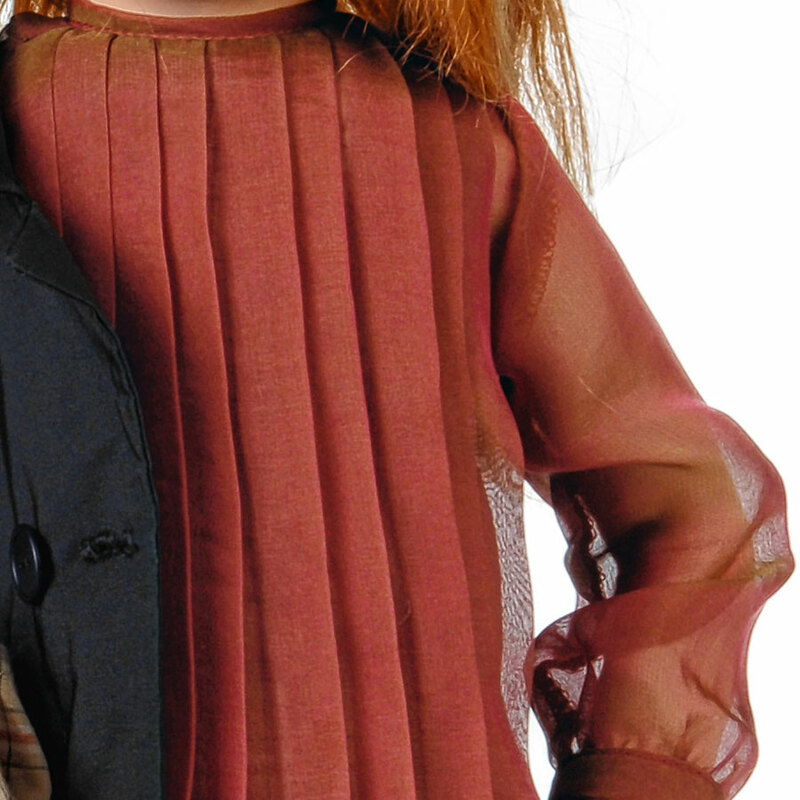 She is dressed in a traditional black trench coat and a floating noble dress made of red shot silk. 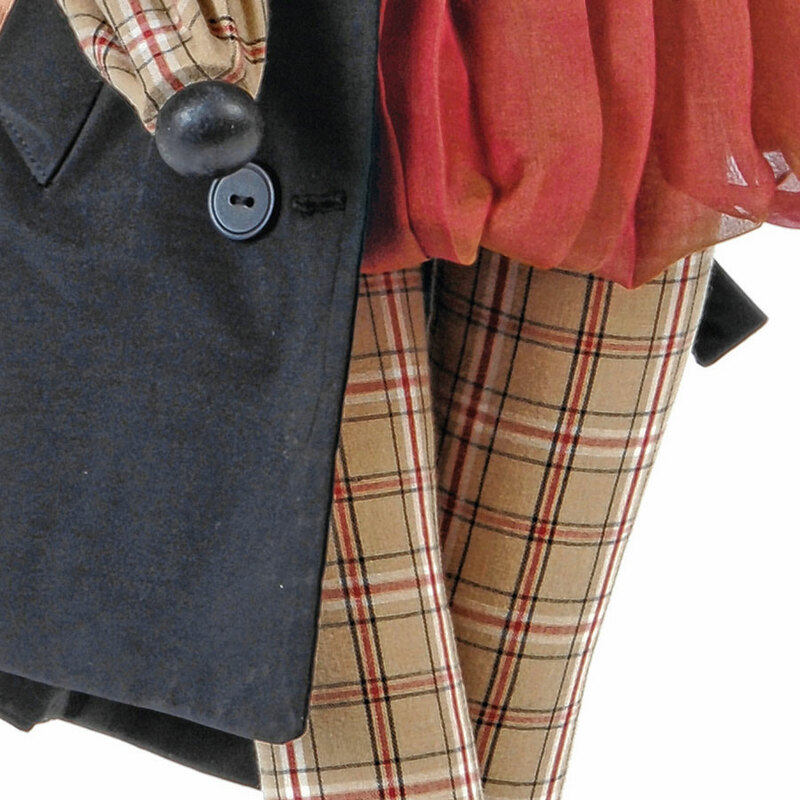 Her legs are covered with high quality British checkered fabric. 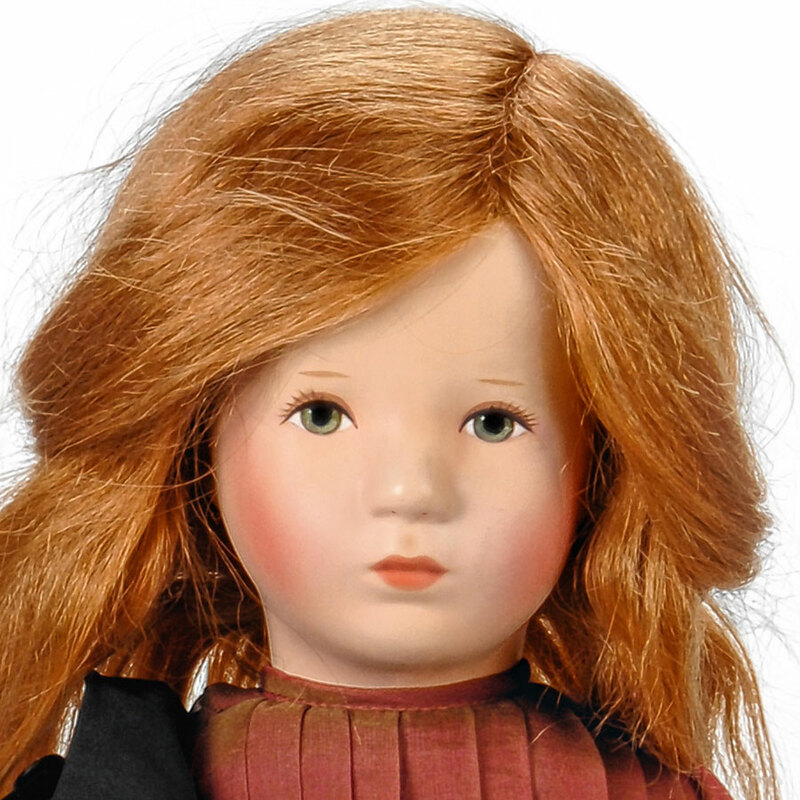 Each doll is uniquely designed in the Käthe Kruse Atelier. A genuine wig with a modern long hairstyle makes her a fashion conscious young lady. 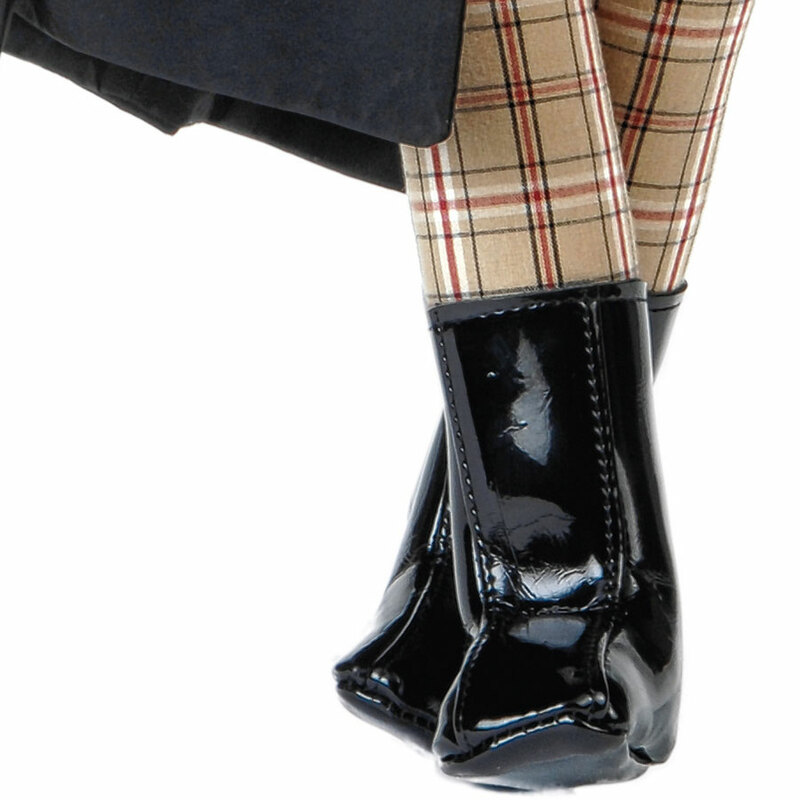 Her black boot keep her feet dry no matter the weather. 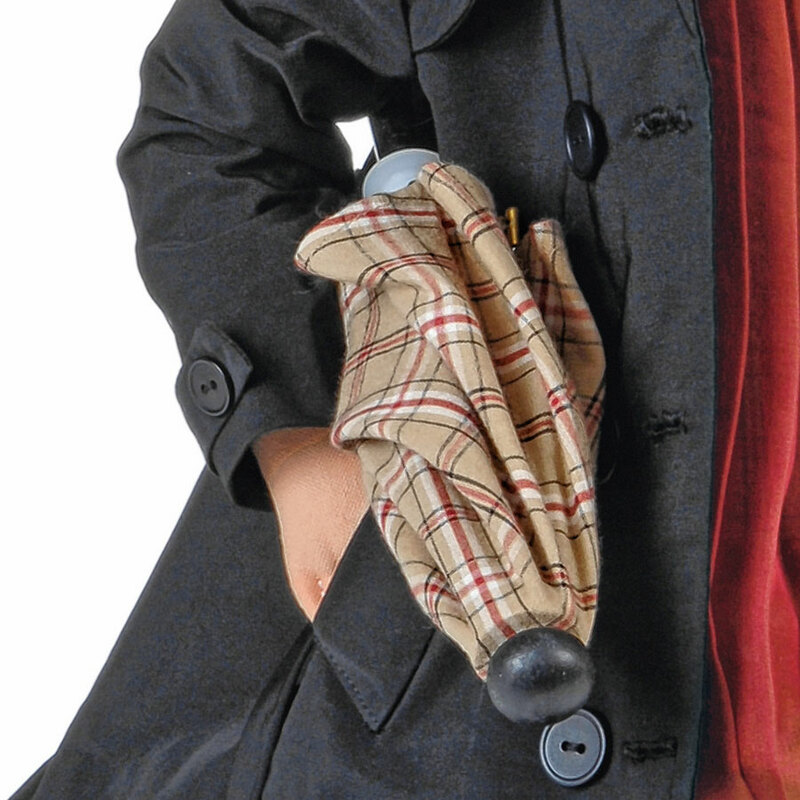 The special accessory is an umbrella, also made out of checkered fabric. 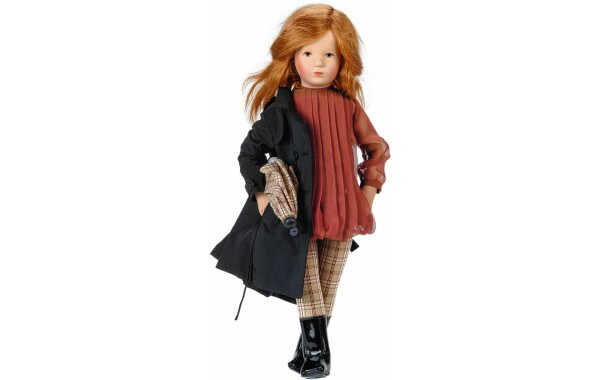 Beryll has a shaped composite head with a real wig, hand painted face, and a soft body hand stuffed with reindeer hair.